Every minute we spend being outraged is a minute we could have spent being effective. “The way things work in Washington and in state capitols across the country is that logic and humane sensibilities can only go so far. You need them in order to be effective, but you also need to amass political power and that comes from working the political system in a way that achieves results. There’s no substitute for being able to deliver votes and having an informed constituency. As an activist myself and a politically engaged citizen, I couldn’t agree more. There is no question that conservatives are much better organizers / organized when it comes to the issues they care about—especially at the grassroots level. Don’t underestimate the ambition of your local representatives who can not only pass effective animal-friendly legislation in your town or county but who may one day be state senator, governor, federal representative, or president. That’s how it works. Don’t underestimate the ambition of local reps who may one day be governor or president. That’s how it works. We need to act. Now. We need to organize. Now. We need to be a resounding voice for animals. Now. I recoil from the phrase “now more than ever,” because our voices and votes for animals are needed all the time—not just when we’re in crisis. But I do think Americans are eager, anxious, and desperate to have their voices heard—now more than ever, so let’s do it. Our voices and votes for animals are needed all the time—not just when we’re in crisis. Here’s how you—we—can get started, stay engaged, make a huge difference, and help our voice for animals be as strong as the NRA’s voice is for guns. The Humane Legislative Fund is dedicated to “educating elected officials and the public on animal welfare issues and electing humane candidates to public office.” Get on their mailing list, contact your representatives about the issues they highlight, make a financial contribution to give animals a voice is congress. Use their Humane Scorecard to help you decide who to vote for in elections based on their history of animal-friendly or animal-unfriendly legislation. Fellow dedicated and engaged activists and I are in the process of forming a political action committee called East Bay Animal PAC that will be dedicated to electing animal-friendly legislators, passing animal-friendly legislation, opposing anti-animal legislation, and educating legislators and the public on local animal issues. Join our mailing list for more, and consider creating something similar in your own city/county! Know who your representatives are—on the federal, state, and local level. I’ve provided a guide below to help you find yours. Take a few minutes to add their phone numbers to your phone! Don’t be afraid to contact your representatives. They represent YOU! They work for YOU! Read Don’t Think of an Elephant to learn how to frame your issue effectively. Stay hopeful. Despair is paralyzing. Cynicism is ugly. One of my favorite take-aways from the book Hope in the Dark is that the darkness doesn’t mean the future is inevitably evil. The darkness means that the future is inscrutable because it’s not yet written. It’s up to us to WRITE THE FUTURE! Attending town meetings changes public discourse & legislation. Type “find my local city council member” into a search engine. Add their phone numbers to your phone and their address to your address book. Call them. Write to them. Get to Know Them. Let Them Get to Know YOU. Find out their positions on animal-related legislation and policies. Educate them about issues they’re most likely unaware of. Thank them for passing animal-friendly legislation. Show up at city council meetings. Visit them at city hall. Donate to their campaign when it’s clear they are animal-friendly. Talk to them about animal-unfriendly positions they may have. They might just need information you have! If they stick with animal-harmful positions, tell them that’s why you’re not supporting them. Vote for them when it’s clear they are animal-friendly. Tell them why you voted for them. Know who your state legislators are — both in the Senate and the Assembly. Find yours here. Call them. Write to them. Find out their positions on animal-related legislation and policies. Educate them about issues they’re most likely unaware of. Thank them for passing animal-friendly legislation. Make a date to meet with them in their district office or state capitol. Show up at the capitol when animal-related legislation is on the agenda. 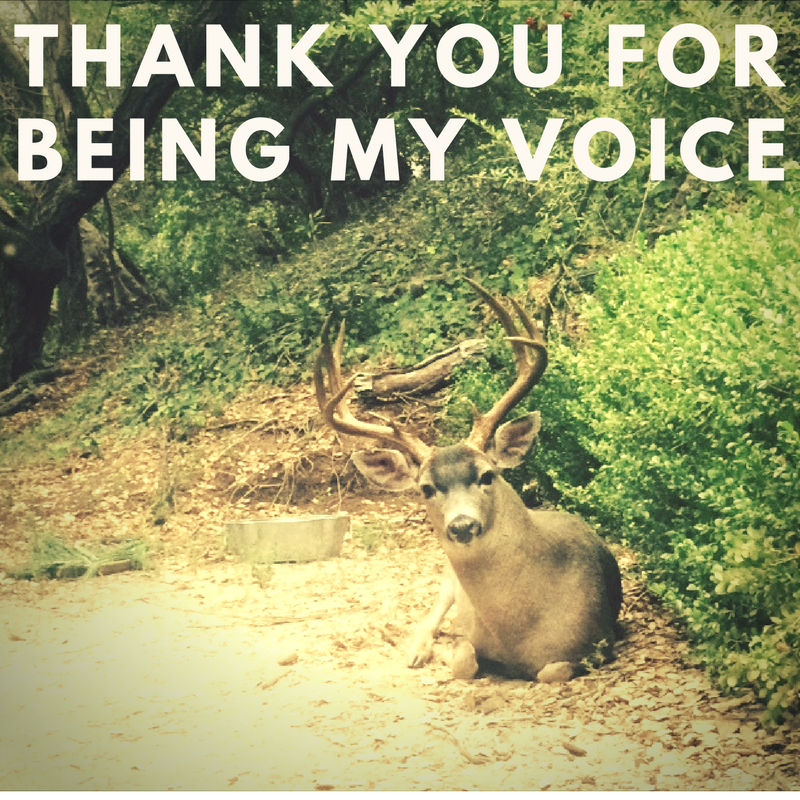 Let your voice for animals be heard. Know who your federal members of Congress are — both in the House of Representatives as well as in the Senate. Find yours here. Add their phone numbers to your phone — for both their DC office and district office. Add their email address and mailing address to your address book. The two best ways to contact your reps are to call and write a postcard—not an email. Buy .34-cent stamps for your postcards. Tell them what you care about. Encourage them to support animal-friendly legislation and oppose legislation that will harm animals. ASK THEM WHAT THEIR POSITION IS on a particular bill or policy.